How do I pay (what currency do you accept)? What kind of files will I receive (what is a card kit)? How do I print the card kits or sheets? This is a single design suitable for intermediate to advanced parchers. 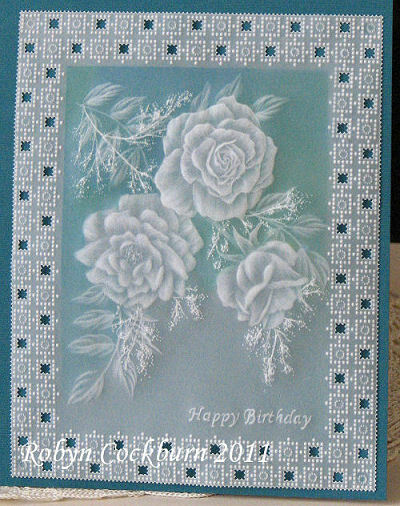 Embossing, multi-needle work and colouring on the back are the techniques used. Please click here to access the single pattern purchase page and add this pattern to your shopping cart. Please click here to view all parchment patterns. This is a single design suitable for intermediate parchers. 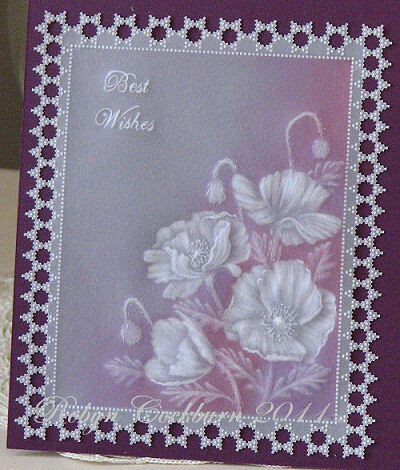 It entails embossing, dorsing with oil pastels and some perforating and cutting. 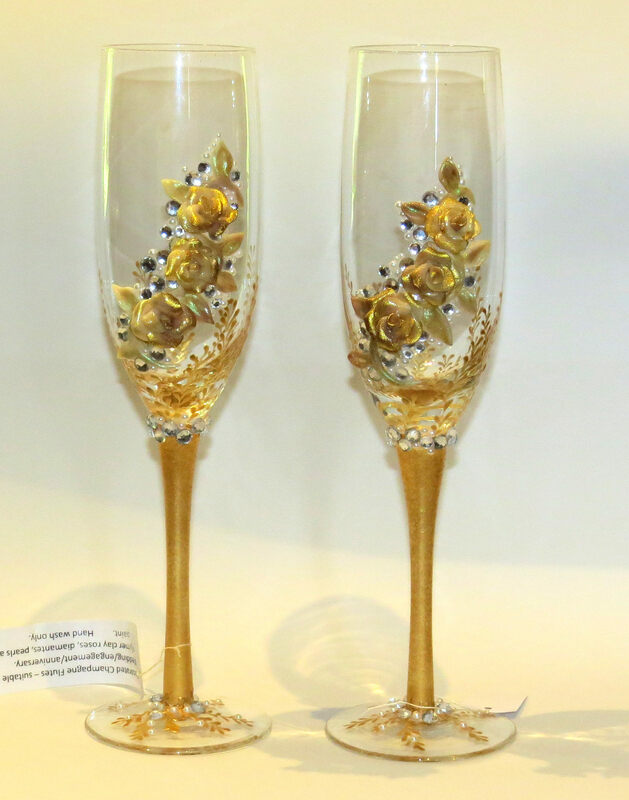 Please click here to access the single pattern purchase page and add this pattern to your shopping cart.